The Saar is a region of Germany with a checkered history that was marred by two world wars. Following World War I, it was occupied and governed by Britain and France, from 1920 to 1935, under a League of Nations mandate, with the occupation originally being under the auspices of the Treaty of Versailles. It was returned to Germany following a plebiscite held in 1935. After World War II, the region became a French protectorate until 1955, when a referendum ended French rule and shortly thereafter returned it once again to Germany. 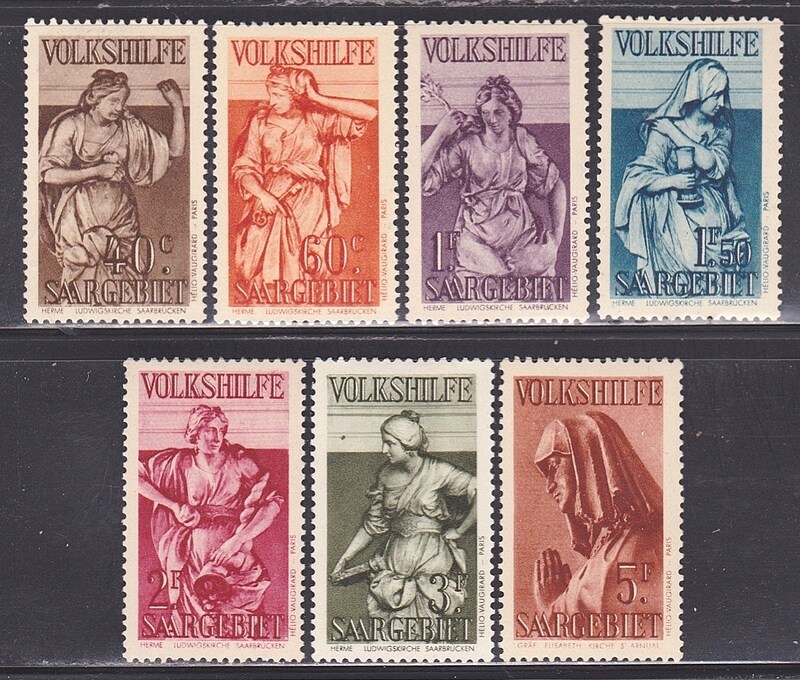 During the Mandate and French Protectorate periods, Saar issued its own stamps, the scarcest of which are of interest from an investment perspective because of their appeal to collectors of Germany and Area and France and Area- two robust philatelic markets. 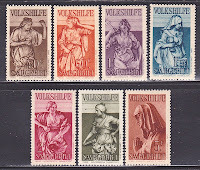 A number of Saar's semi-postal sets are worthy investments, including the first 1934 set (Scott #B47-53). 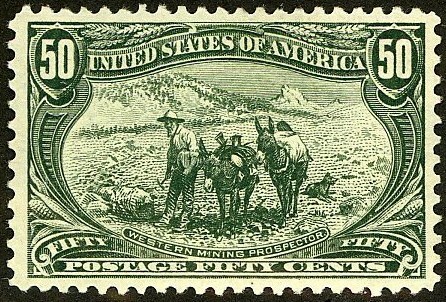 38,478 sets were issued, and Scott '13 prices the unused set at $89.00. The set is visually attractive, and the praying figure pictured in the 5fr+5fr high value (Scott #B53) qualifies it as a Religion topical.